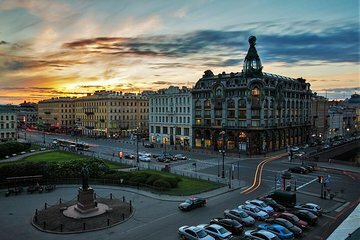 St Petersburg is one of the most photogenic cities in Europe; find panoramic views from an unusual perspective on this rooftop tour. Your guide will take you around the circuit of interconnected rooftops in the historic part of the city, something that you would have trouble finding without local help. Adventurous travelers will love the opportunity to see the city from more than just the window of a tour bus.